It’s the story that’s been read around North America and even shared by the daughter of Martin Luther King Jr. It’s serving as a teachable moment for how public figures should deal with brazen racists. And one Canadian politician is being hailed a hero. The only problem is, the story, as it’s been told, is a total mess and only half the truth. 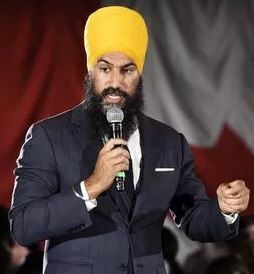 A few days ago a video emerged of federal NDP leadership candidate Jagmeet Singh responding to a heckler at one of his campaign events in Brampton, Ontario. The MSM lied? I don’t believe it!